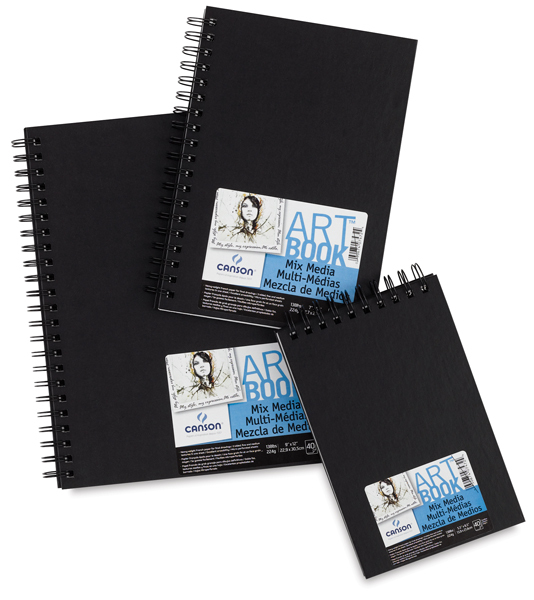 Ideal for dry media, markers, pens, wet media techniques, and even collage, these wirebound, hard cover Art Books contain 40 sheets of heavyweight, 138 lb (224 gsm) French paper that's perfect for final drawings. Micro-perforated for easy removal, the two-sided sheets feature a medium texture on one side and a fine texture on the other. Both offer excellent erasability.